Actor Anil Kapoor reminisced about being part of 2009 Oscar-winning film ‘Slumdog Millionaire’, which turned 10 on Wednesday. 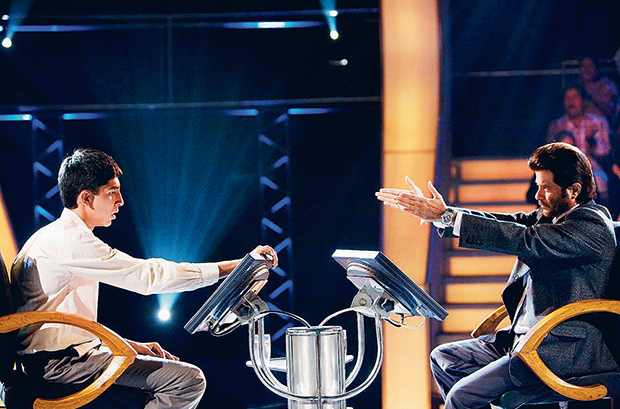 British filmmaker Danny Boyle’s ‘Slumdog Millionaire’ recounts the travails of an 18-year-old orphan (played by Dev Patel) from the slums of Mumbai who goes on to win Rs20 million (Dh1 million) on India’s ‘Who Wants To Be A Millionaire?’ game show. Kapoor was seen as show host Prem Kumar in the film. The film won eight Oscars at the 81st Academy Awards, including Best Adapted Screenplay, Cinematography, Sound Mixing, Film Editing, Original Score, Original Song, Direction and Motion Picture. Indian composer AR Rahman brought home two awards for the song ‘Jai Ho’. Veteran writer-lyricist-filmmaker Gulzar and sound engineer Resul Pookutty were also winners.